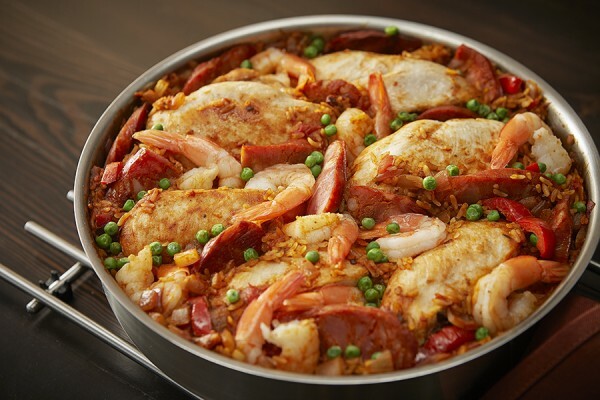 Paella is a rice dish that originated in Valencia, Spain. This version uses chicken pieces, chorizo and shrimp. 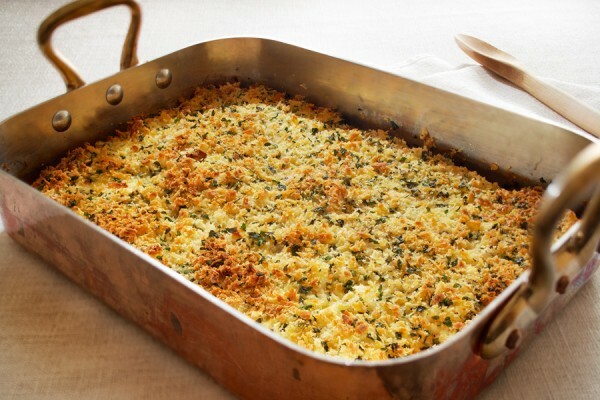 Adapted from a traditional Greek moussaka, this version includes potatoes and eggplant, and has a lighter custard topping. The cooking video walks you through each step of preparation. 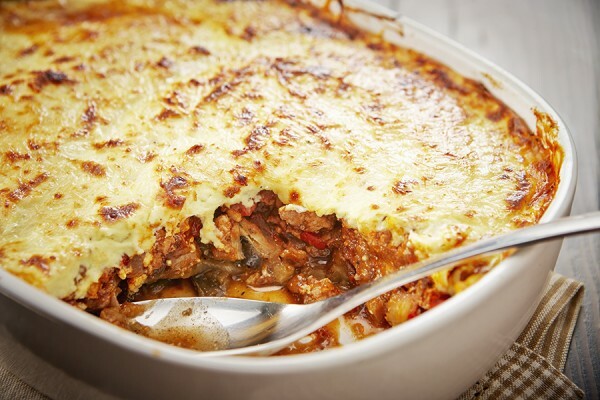 This recipe needs a little bit of extra work and time but the flavour payoff is huge. 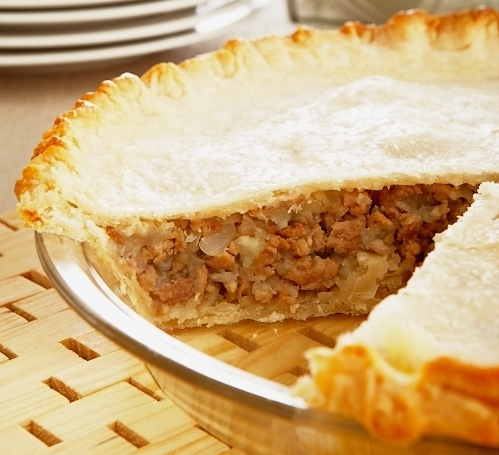 This version of the traditional French Canadian Christmas Eve meat pie is made with chicken instead of beef and pork. 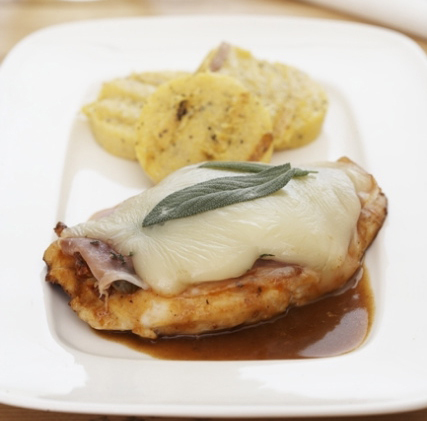 As elegant as stuffed chicken breast but easier to make. A one dish meal that's elegant enough for company. 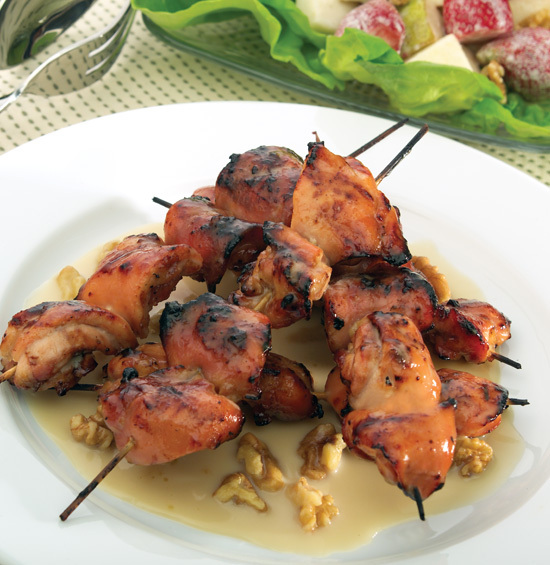 Maple marinated chicken skewers served with a warm fruit salad - an elegant pairing for a special meal. 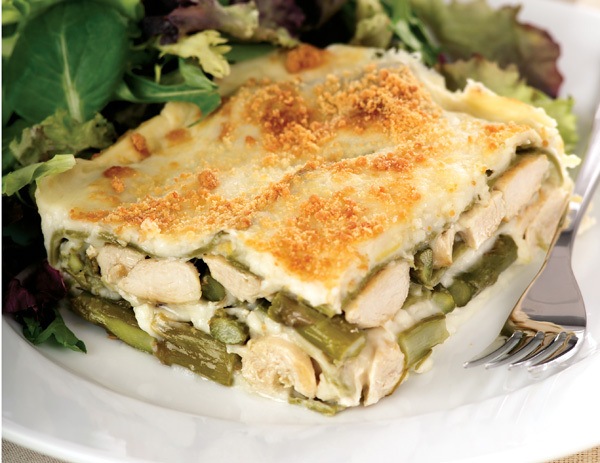 Fresh local asparagus and a rich white wine cream sauce make this lasagna a special treat. 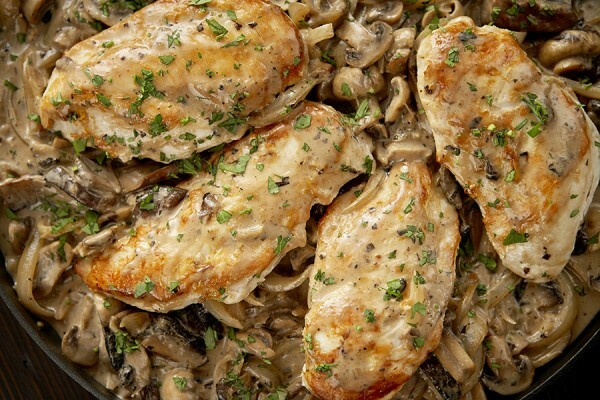 Madeira, a fortified wine from Portugal, and mushrooms make a delicious sauce for chicken breasts. 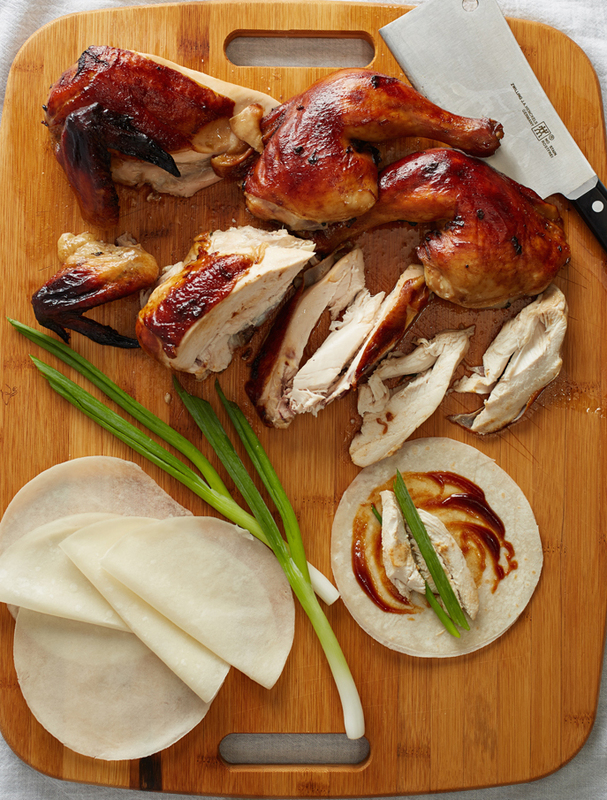 This dish is everyday easy yet sophisticated enough for special occasions. The corn flake coating gives these chicken cutlets a nice crunch.